I'm late to Pink and Green Thursday...but do have a reason for my tardiness. I was keeping close tabs on the shipping tracking for my Marley Lilly Monogrammed Derby Floppy Hat and knew that it would be waiting for me when I got home today. After I saw pictures of all you southern belles wearing your hats at the Carolina Cup that was it. Had to have. I chose the hot pink trim with lime green monogram. I love how it turned out and what a great day to show it off. To my surprise I had another pink and green delivery today! 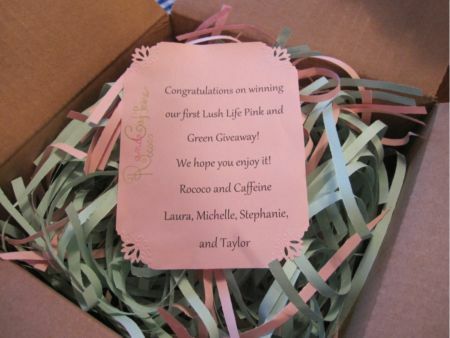 I was the lucky winner of the Lush Life Pink and Green Giveaway from the stylish ladies of Rococo and Caffeine. The product details are on their lovely blog - you must check it out. Everything smells great. I may have been wearing my new floppy hat while smothering on the Mint Julips Lip Scrub... haha. Lip care derby style? As always, thanks to the fab Pink Preppy Lilly Lover for hosting. 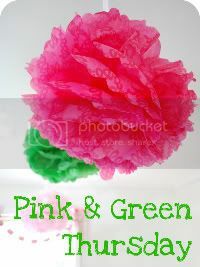 Click below for more pink and green goodness! Love your hat! And mint julep lip scrub? Must get some!! I absolutely love this hat! This particular pink and green combo is my fave! I NEED one of those hats! That is the top of my reward list for when I finish school in 2 weeks. They are so cute!! The hat is adorable and how neat to win pink and green lush! I need one of those hats... so awesome that you won that other stuff too! That hat makes me want to go to a Derby party! Yay for Marley Lilly Hats! 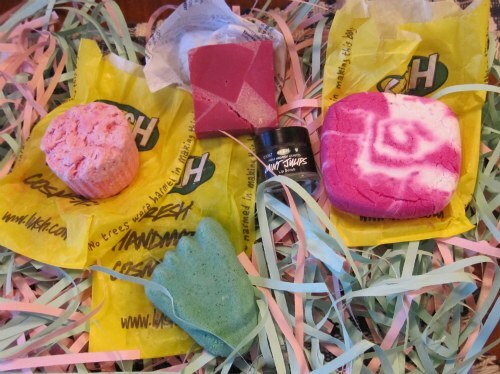 Perfect package arrivals for pink and green thursday! 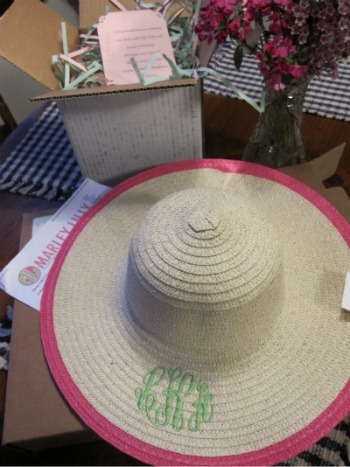 I love those marley lilly hats, they are too cute! also, i gave you an award on my blog, you should check it out!